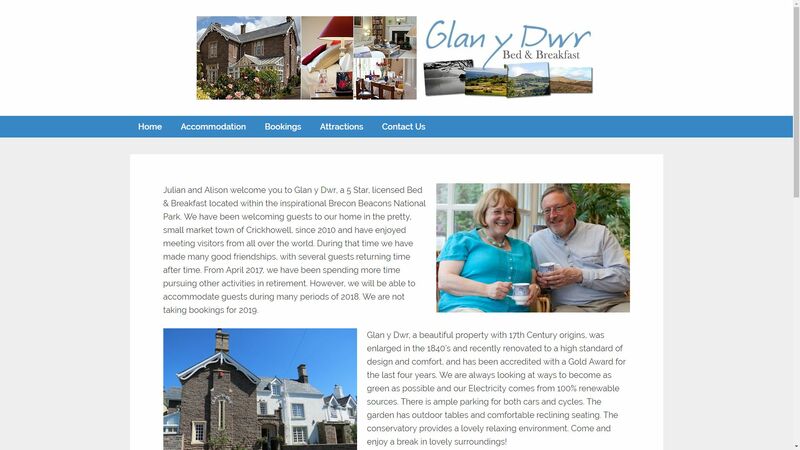 Glan y Dwr had a website on Google Sites but wanted to make it more attractive and easier to edit. This site, which uses WordPress to manage the content, features a lightbox to show off many of the high quality photographs they have of their property. NOTE: The site is now closed as they are no longer taking guests, so there is now only a single holding page.